The neglected middle of thought. HomeChildrenEducationPhilosophyThe neglected middle of thought. December 9, 2014 Comments Off on The neglected middle of thought. 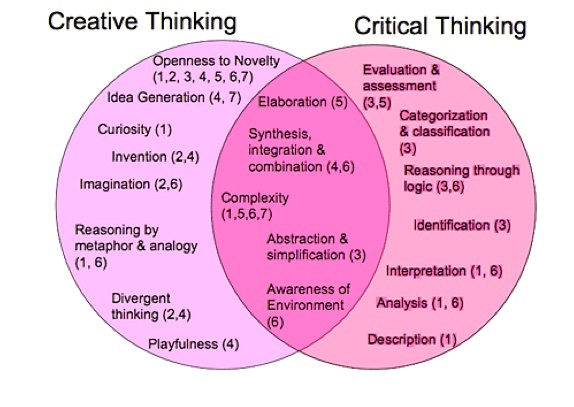 The above chart (click it for the teacher’s image) and the above linked pretty much stands without comment in their understanding of these two types of thinking. The ones in the middle mostly are the ones we are afraid of. They are neither starting with the approved, “Yes and,” or, “Yes but,” choose to instead lead with, “Can you really not see it?,” and, “Are you completely out of your minds?” and also have the critical skills needed to then create revolution.